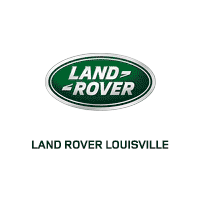 Land Rover Louisville is your one-stop shop for high quality genuine OEM Land Rover parts. Our staff has many years of experience and knows your Land Rover inside and out. They’re here to give you great advice on whatever Land Rover part or accessory you have your eye on. Thinking of installing it yourself? We know all the insider tips and tricks to make it a breeze. If you already know the part number you need, simply fill out the online request form to place an order. Our staff will either find the part in our expansive inventory or get it ordered for you. We’re happy to ether ship it to your home or office – or hold it here for you to pick it up at your convenience. Have a question or want to speak with one of our Land Rover Parts Professionals, call us at (502) 378-3577.